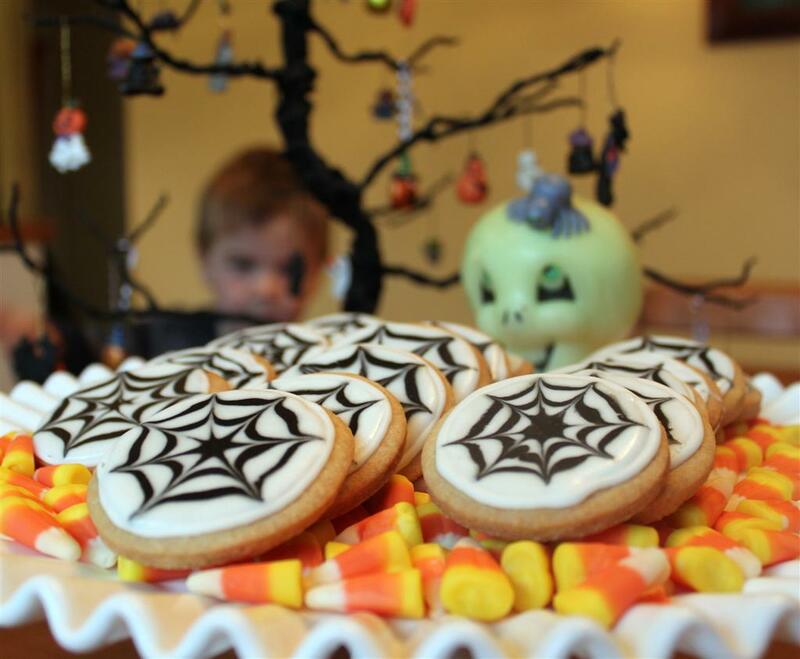 Tommorrow looks to be a wonderful halloween, no rain....costumes ready, got fireworks and I just finished making these cookies for Tannins class. My littlest one is stalking me around the kitchen...."Mommy can I have a cookie"
These are gonna be some SERIOUS lucky tricker-or-treaters at YOUR place!!!! Awesomeness! Let the kids have a cookie already!!! have a fun fun time!! !